The average person who struggles with weight has been on many different programs and regained the weight in less than a year. Most of us are experts in finding excuses as to why we couldn’t maintain our losses. Pregnancies, children, relatives, spouses, jobs, menopause, age, you name it and it’s been used as away to fall off the diet wagon. Most of the time it’s because the diet we choose is not sustainable. Goat milk for breakfast, yak eggs for lunch, and buffalo tartare are not very appetizing after a week or two. Of course, I’m being ridiculous, but if you check out most of the so-called plans configured to get you to lose the five pounds a week they promise, they’re usually predicated on boring regimens that end up driving you to eat five hot fudge sundaes at a sitting. The fact that the general population is getting fatter and fatter has created quite a conundrum for the medical community. 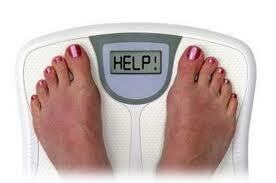 Researchers in the field of weight loss are furtively seeking a solution. Every week we are given the results of some study that speaks to the possibility of something that might be precipitating the increases in our waistlines. A virus has been implicated. I don’t know which one, but it certainly adds to my bag of excuses. I can recall a particular cold I got ten years ago that might be the culprit for some of my weight gain. Hanging out with people who are overweight seems to have some legs, albeit heavy ones. That could work for me, only my pals vary in size, so I guess I’ll have to have them weighed so I can spend more time with the heaviest one. I just won’t be able to tell her why. Having a mate that likes to eat everything in sight is another problem, and so is how much stress you have. If you have a lot of stress and your partner overeat, you’ve won the “excuse” lotto. If the afore-mentioned doesn’t work for you, not to worry, the latest finding is that scientists have discovered “obesogens” found in plastic bottles, high fructose sugar, pizza boxes, vinyl flooring and shower curtains. So there you have it. If people are tired of your excuses, just tell them that you’ll soon be as slim as a knife because you’re not taking a shower anymore, eat pizza or walk on your kitchen floor. You are sooooo right! I got rid of the past, started eating clean and it helps ease the cravings! I also have received intensive therapy for abuse of scales…I went through rages to where I would break many bathroom scales…I had a ritual of kicking them and calling them a liar! My weight control method is a tight pair of jeans. When I feel like I’m squeezed into a tube it’s time to eat smaller portions. When I buy new levis i use the same pair of favorite jeans from 1976 as a reference. I’m not sick of it in the least, it’s so inspiring, having it on while I sleep it must be sinking in .. I’m waking feeling terrific! there’s so Much Gold in that one tape, Please don’t stop selling it! Previous PostPrevious I’m A Sucker for Verbal Hostage Taking. Next PostNext Words to Live By!